1. I hate my job but I am staying because I am secretly in love with my colleague. 2. I will quit my job if they ever relocate. My current workplace is just a 5-minute walk from my home. 3. I dare not to leave my job because I am worried that I cannot find another job with my skill. 4. I only love my job because my boss allows me to work from home. 5. I feel like I am totally underpaid. 6. I am staying in my job because they provide medical welfare for my son. 7. I am having an affair with a married colleague and no one in the office knows. 9. I once sent a private and confidential document to my client instead of my boss because both their names are John*. That document details our company earnings and profits. My boss still doesn’t know about it today. 10. 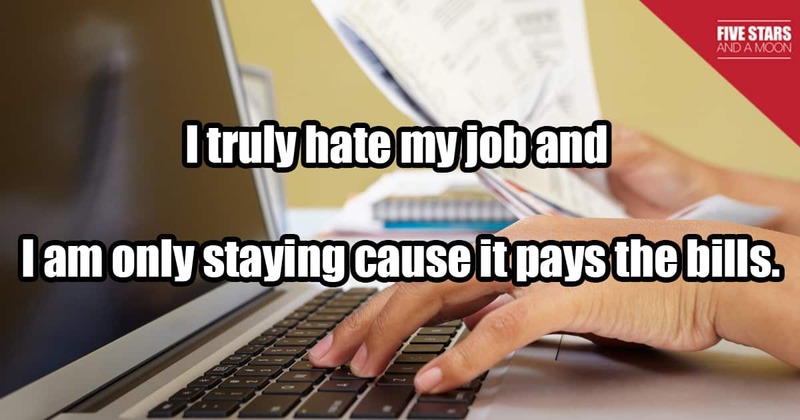 I truly hate my job and I am only staying cause it pays the bills. Singapore’s Defence – Fact or Fiction? Singapore’s very 1st Mermaid is on the way. Killer maids have been making the news. Would you still hire a helper? What Does World War II Mean To You?